A vegan weight loss plan can be a healthy and nutritious way to melt away pounds and get yourself in shape. Combined with exercise, a vegan diet can contribute to many improvements in overall health. 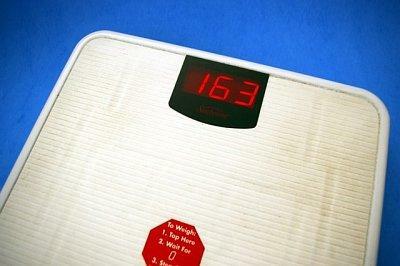 Losing weight at a slow, steady pace is recommended for lasting success. Vegans who find themselves wanting to lose weight can adapt many popular diets to fit with their lifestyle. The Weight Watchers points plan is especially easy for vegans, since no foods are either required or restricted. Plus, enjoy plenty of veggies, whole grains, and fruits because they are assigned low point values. You can eat quite a bit of food on this plan and still lose weight. Although, at first glance, one may think that a vegan diet is not compatible with the lower carb South Beach Diet, it has been growing in popularity for vegetarians and vegans for a decade. The modified vegan version of this diet lets you eat plenty of legumes, beans, vegetables, and soy products in the initial phase. Add in old-fashioned oatmeal, fruit, and whole grain pasta, among other nutritious goodies, in the second and third phases. The FoodMover Plan from Richard Simmons is a rather simple plan that teaches you how to eat proper portions and how to balance your food group choices. Although it calls for consumption of lean meats and dairy products, they can easily be substituted for legumes, tofu, nut or soy milk. The vegan food pyramid reveals the recommended foods and amounts of each type of food that should be consumed each day for optimum health. Using the pyramid as a guideline, and opting for the lower calorie options that contain less fat will go a long way towards weight loss. For those who have trouble following a specific plan, this is the best way to eat healthy and lose weight. Whether you observe a vegan diet or not, losing weight should be done carefully. Dropping your calorie intake too drastically can cause many health problems, and also lead to gaining the weight back quickly, causing a yo-yo effect. A pattern of losing and gaining back weight has been shown to cause a number of wellness issues, including high blood pressure, diabetes, and heart problems. Before starting any type of diet plan for weight loss, you should check with your doctor to make sure you're on the right path. This is especially true if you're pregnant or breastfeeding. Misjudging what is a true serving size can be a big stumbling block on the path to weight loss. If you go to a restaurant, for example, you're served a large plate that is loaded with food. In such an atmosphere, it's easy to take in more calories than your body really needs. Read labels carefully and consume only recommended portion sizes for the first two to three weeks of your diet. This should help give you a full understanding of actual serving sizes. Continue to keep an eye on portion sizes, even when eating healthy foods. Stop eating when you're no longer hungry, and you'll soon find that you're actually eating a lot less food. Studies have shown that it's important to make sure that you are getting the recommended daily doses of vitamins when you are cutting back on calories. Vegans should avoid gelatin and vitamins from animal-derived sources when looking for supplements. Luckily, there are many multivitamins that you can get at your local health food store or even box stores that are labeled as vegan-friendly. Of course, it's also important to make food choices to optimize vitamin intake. No vegan foods are completely off limits while you're trying to lose weight, unless your doctor or nutritionist says otherwise. However, you need to be sure to eat high-fat, processed foods in moderation. Celebs like Alanis Morissette and Kelly Osbourne have proudly revealed how a vegan diet helped them shed unwanted pounds. Hang up photographs of people who inspire you, whether they are celebrities, friends, or strangers in magazines. When you're tempted to give up, write down how far you have come and why you are losing weight. Find the positivity at the core of your weight loss goals. Keeping a daily gratitude journal can also increase overall feelings of well-being and help you stay on track. Make your own wellness a priority and continue to educate yourself about vegan nutrition. The best way to ultimately win your battle with excess fat is to cut back on high calorie foods and incorporate some form of exercise into your weight loss plan. Keep in mind that there are no short cuts or easy fixes when it comes to weight loss and subsequent maintenance. Vegans may be at greater risk of iron deficiency than omnivores. However, the USDA has stated that a vegan diet can meet all your nutritional needs as long as it's well-planned. You should plan to eat a variety of foods in the right amounts to meet the caloric intake of your diet and your body's nutritional needs. Have a serious talk with a physician or nutritionist for advice and approval before transitioning to a vegan diet. Vegans typically need to make sure they get enough iron, protein, calcium, zinc, and vitamin B12. A lack of any of these vitamins and minerals exposes you to severe health risks. The Vegan Society states that the only reliable sources of Vitamin B12 for vegans are fortified foods, so make sure that you are consuming the recommended daily dose of Vitamin B12.